1 apple cut in slice shape. Put The honey on all apple slice. Add the Vanilla ice cream on them as shown in video. 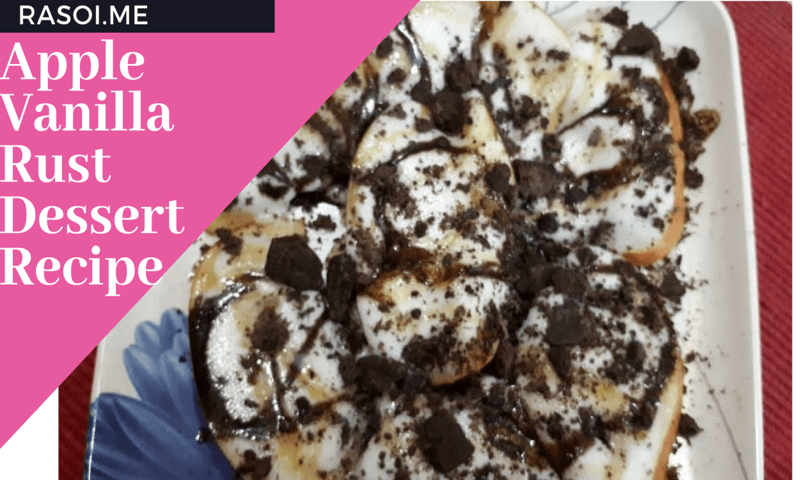 For Decoration Add the Oreo biscuits crushed or Chocolate sauce and freeze it for 30 minute and serve this tasty Apple Vanilla Rust Recipe at home. No Replies to "Apple vanilla Rust Dessert Recipe"